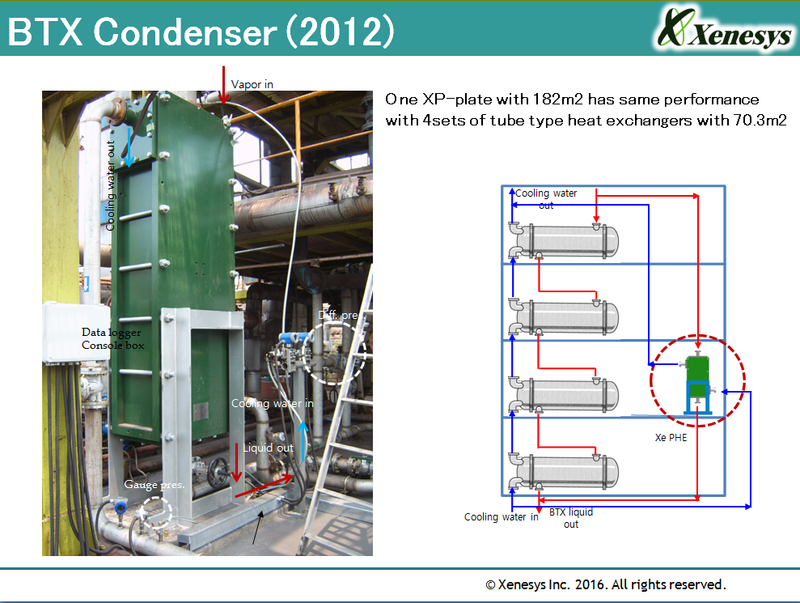 All-welded Plate Type Heat Exchanger“XP Series” | Xenesys Inc.
"XP Plate" are plate type heat exchangers uniquely developed based on an entirely new concept aimed at realizing Ocean Thermal Energy Conversion systems, which is our business goal, appropriate for high temperature and pressure use that does not need gaskets. 1. 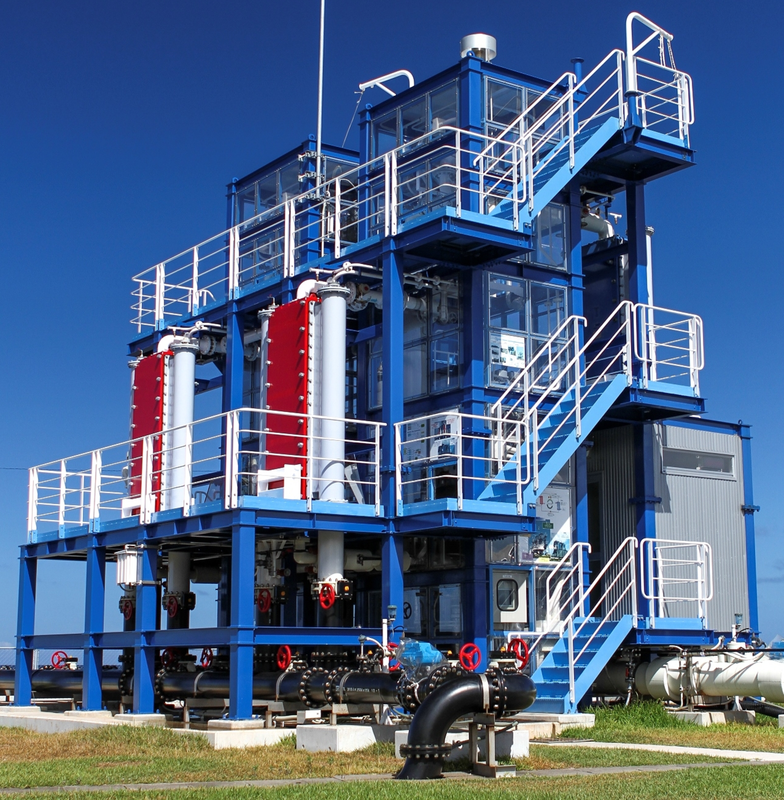 Maximize intervals between maintenance due to fouling-resistant operating conditions. 2. 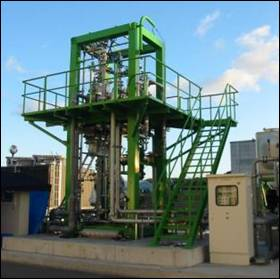 Reduction of required pump power by reducing pressure loss. 3. 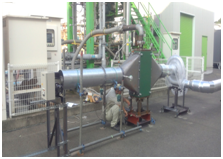 Improved heat recovery by reduced pinching temperature. 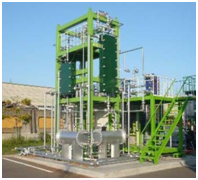 It can be used as reboiler or condenser at distillation towers and at chemical plant since it can vaporize and condense efficiently with limited pressure loss. 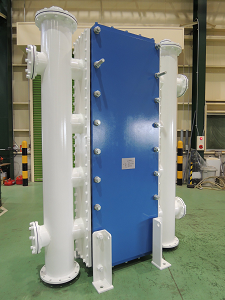 Also, the high performance and compactness of the heat exchanger is attracting attention as an alternative to conventional tube type for heat recovery of gas to gas. 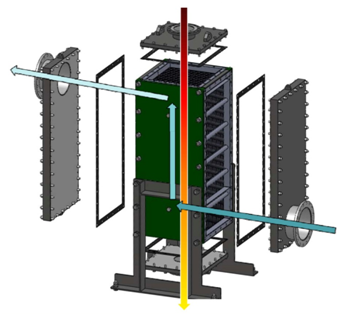 For use of "XP Plate" in new operating environments we can optimize full-scale equipment by obtaining operational data through small-scale preliminary experiments. 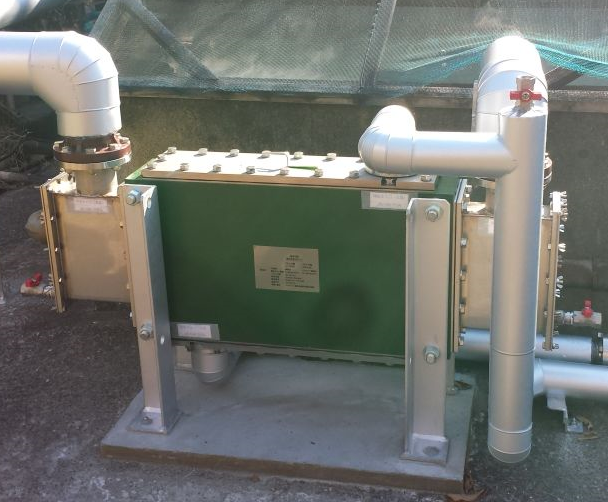 It can be cleaned without disassembling piping or heat exchanger. 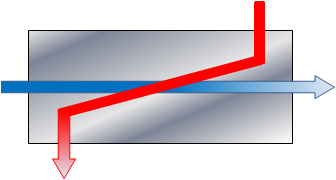 The "XP Plate" has a unique plate pattern and structure that decreases unnecessary flow turbulence, which does not relate to heat transfer performance and achieves low-pressure loss. 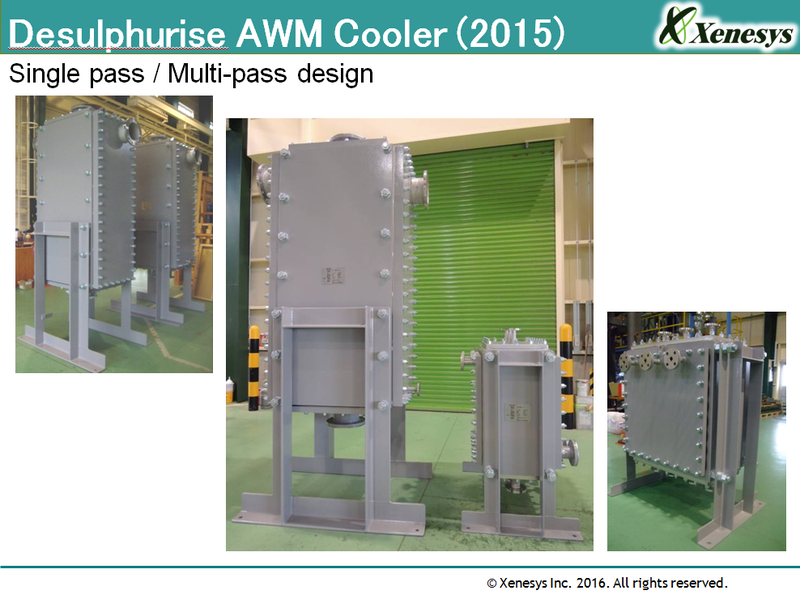 "XP Plate" can drastically reduce pressure loss from fluid velocity compared to conventional plate type heat exchangers (PHE), therefore, within acceptable pressure loss, it is possible to design for faster flow rate than that of conventional PHE. 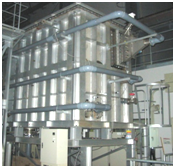 The faster flow rates allow higher heat transfer performance than could be obtained ever before. 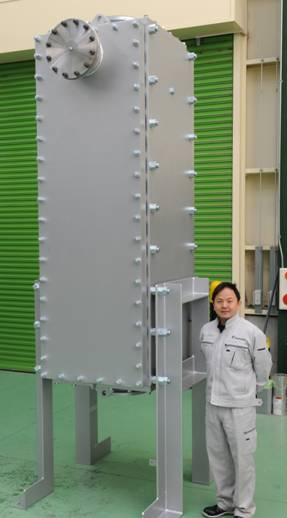 Space for new equipment can be made by replacing shell and tube type heat exchangers with "XP Plates", since our heat exchangers are far more compact for the same heat transfer load. 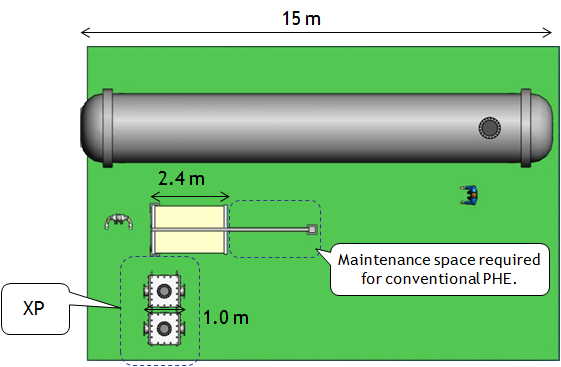 Especially for processes involving gas, the space saving effect will be amazing in some areas. *One example. Actual sizes and comparative ratios depend on design conditions. "XP Plate" does not use gaskets. 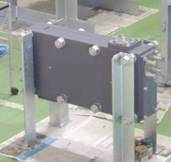 They are formed of an all-welded structure. 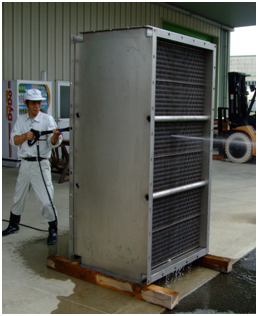 Basic maintenance work (cleaning) can be done by chemical solution, without the need for disassembly. 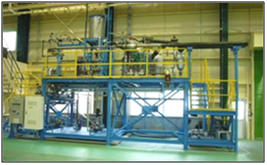 As the "XP Plate" do not have internal gaskets, a variety of cleaning solutions can be utilized. 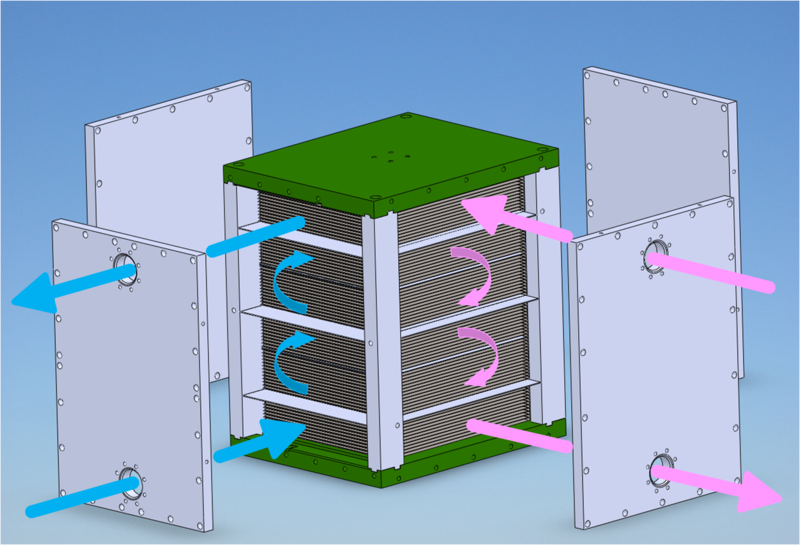 "XP Plate" casings allow the sides of the heat exchanger to be opened allowing cleaning by high pressure jet if needed. 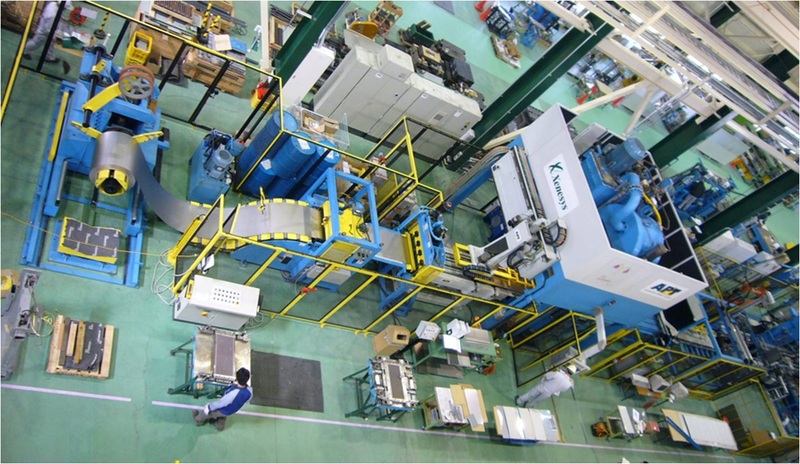 Our Unique manufacturing technology enables flexibility in regards to length of heat transfer plates and the position and size of inlet and outlet nozzles, allowing you to freely choose a configuration to meet your needs. 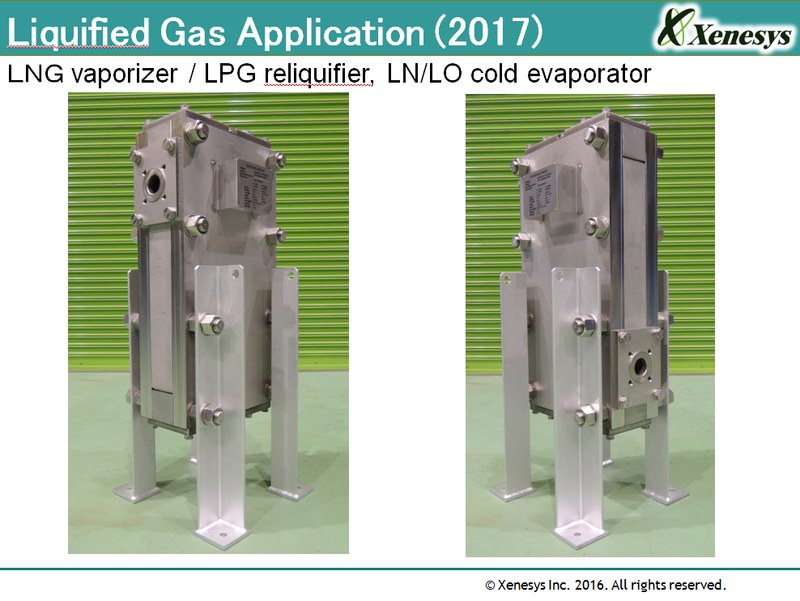 We can suggest high performance heat exchangers with the most appropriate flow velocity and flow direction according to your application. 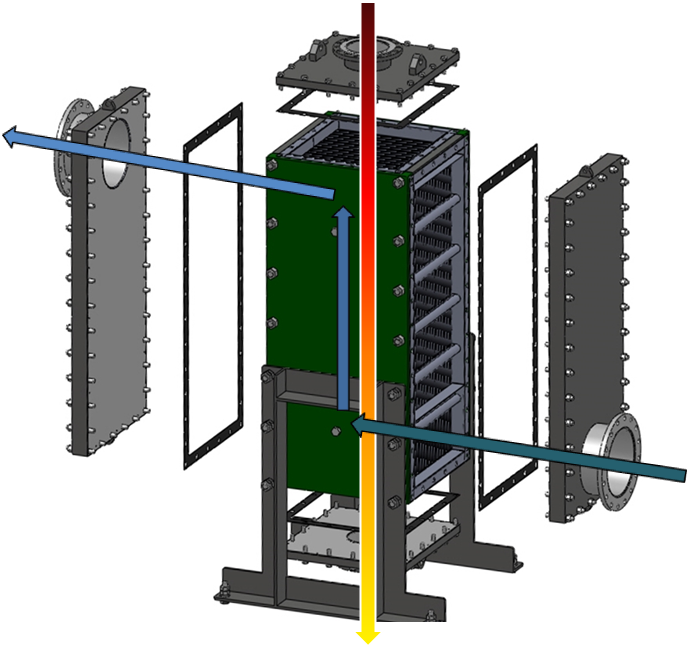 Red and blue arrows in the drawing indicate the fluid/gas flows in the heat exchangers. 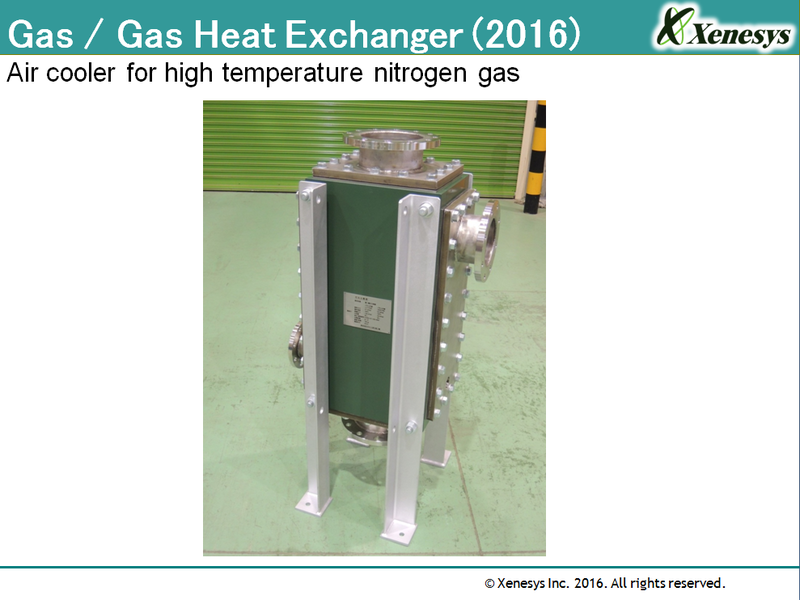 It is possible to reduce temperature difference at the ends compared to conventional heat exchanger. 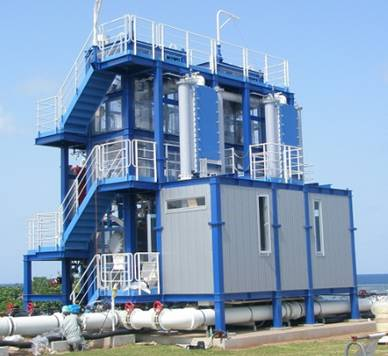 If temperature difference at the ends is reduced, the amount of evaporation and condensation can be increased, and input amount of heat against amount of production can be decreased. 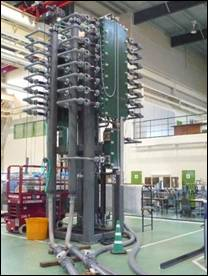 We are constantly researching and developing our heat exchangers through confirmation of performance by repeated heat transfer experiments using full-size heat exchangers. 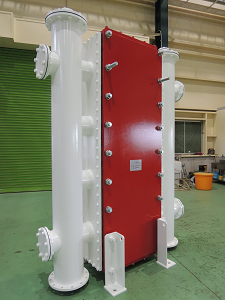 In this way we make the best low-pressure loss and high-performance heat exchangers. 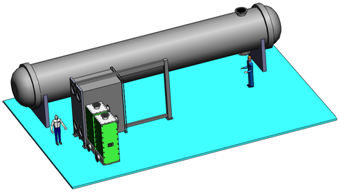 The heat transfer data gained through our experiments enables us to design the best heat transfer specifications for the customer's service conditions. 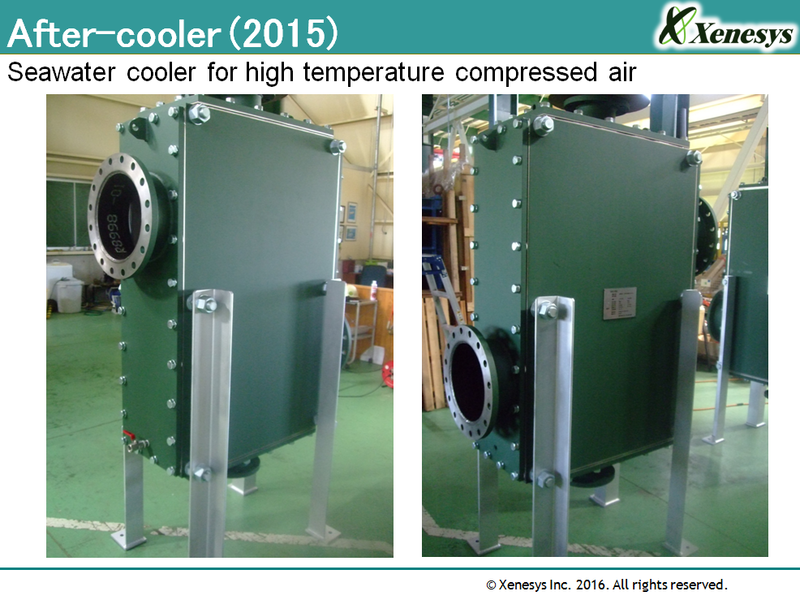 We will quickly consider and share the benefits of optimized heat exchanger design for our customer's requirements. 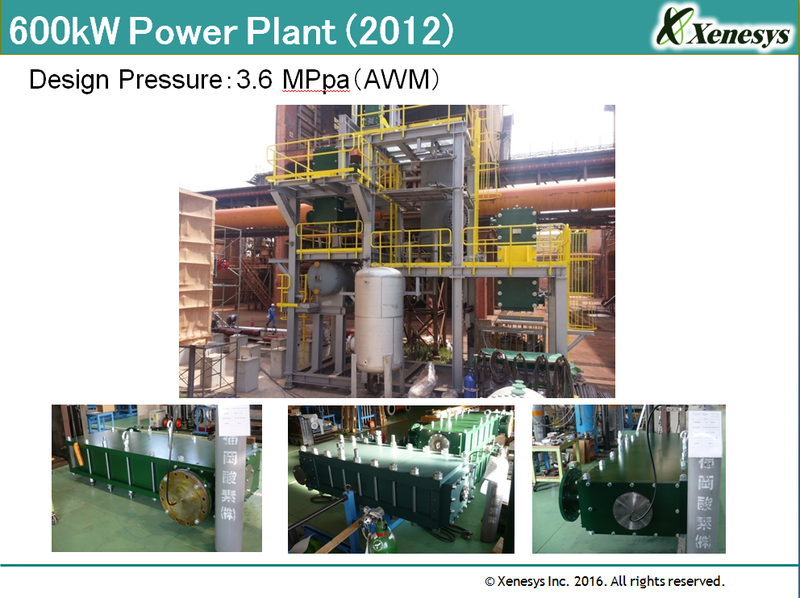 Evaporator, condenser and plate type condenser for power generation plant. We can assist you in replacing existing tube type with plate type, including implementing preparatory experiments. 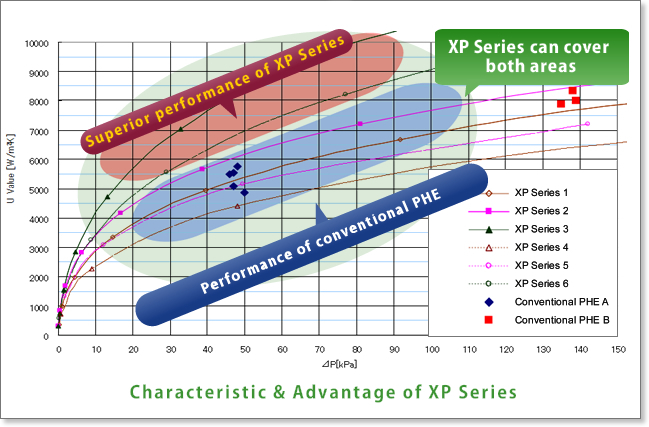 We will propose the most suitable "XP Plate" to fit your conditions of use. For Details, Please send the design conditions of your project/site via the "Parameter Sheet" link below.